To see how successful the gin + tonic + herb formula might be I begged for some gins and went out into the garden to find five suitable adornments. The gins at the heart of the trials were the aforementioned No. 209, which I found quite a punchy juniper gin with some other interesting spicy and citrus notes, and Brooklyn Gin, which is the new ‘house favourite’ with a more pronounced citrus flavour, fruity juniper and summery floral aromas. I need to replace my tub of mint: it’s old and tired, not particularly photogenic, too tough and doesn’t instantly yield its fresh minty smell in the way fresh mint should. But despite this, when the alcohol set to work on the leaves, it still let off enough aroma to remind me why mint is such a classic garnish for almost any drink. 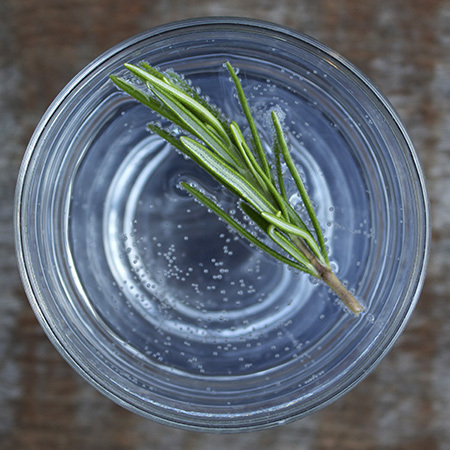 I’ve used rosemary as a garnish before and like what it offers. It’s less savoury than you might imagine and, when sniffed in unison with the gin botanicals, it seems to change characteristics, offering fresher peppery and herby notes that pair well with the juniper. A good choice. 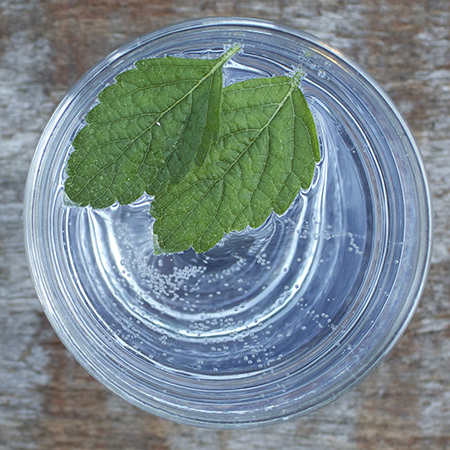 Despite its strong lemony, herby flavours, the lemon balm leaves didn’t really do much in my G&T other than offer a hint of bland grassiness. Chopping the leaves releases more of the lemon characteristics but overall it was a bit disappointing. I’ve had good beers that include sage to great effect, but have not seen it with many other boozes. The aroma took a while to fully develop, but when it did I thought of chicken stuffing. Not good. 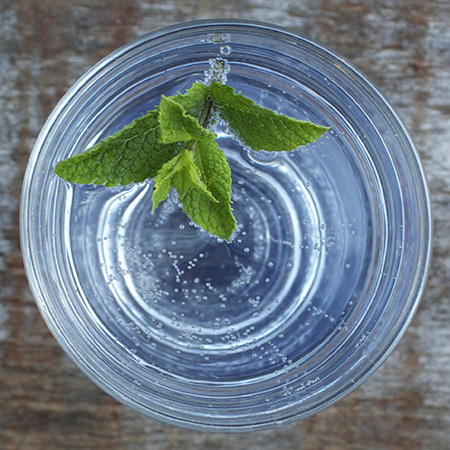 The boldest aroma and the one that changed the flavour of the G&T the most. 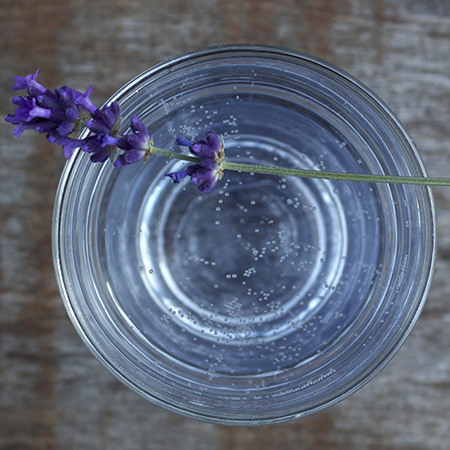 I like lavender and my single stem was never enough to cause too much damage so enjoyed the effect it had on the drink. 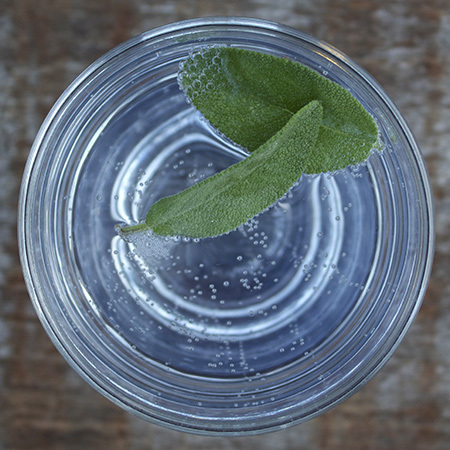 The post Five herb garnishes for your gin and tonic appeared first on Two Thirsty Gardeners. When we think of British whisky it’s inevitably Scotland that springs to mind. In recent years a bit of fuss has been made about a few English distilleries that are cropping up, led by Norfolk’s English Whisky Co, but much less is heard about Welsh whisky making. The most obvious of these resources is the water, which comes off the famous Aber Falls waterfall, but James is keen that other local ingredients are used as well. “We are working with local farmers in Wales to create a 100% Welsh malted barley. We’ve been using different varieties and we’ve even been exploring old varieties that have been brought back.” North Wales had a long tradition of growing malted barley 100 years ago but, like many agricultural industries, demand and subsidies changed the landscape, something that James is keen to help reverse in terms of both product and economics. “It would be quite nice with Brexit to re-explore new revenue streams with the farmers. Even our by-produce will go back to local farmers to feed the cattle.” And running a distillery that keeps its own casks on site, along with an in-house bottling line, will use a significant local workforce and ensure that everything they produce is Welsh. As whisky takes a while to mature before it can be labelled whisky, the distillery has started out producing gins and liqueurs to use as a base for experimentation and to help build the brand portfolio ahead of the whisky’s release. “We see ourselves as the spirit of North Wales” James tells me. “We’ve got a botanical garden down the road from us with species that are only grown around the Menai Strait.” Some of these botanicals will be used in Aber Falls gins, while Anglesey sea salt is among the ingredients in their salty toffee liqueur. Aber Falls spirits have already been picking up awards and creating a buzz throughout North Wales and beyond, which bodes well for that whisky. And how, we wondered, would James enjoy that first dram to be poured from the whisky cask? “It will depend on what mood I’m in! It also depends on what style comes out. The beautiful thing about making whisky is that it’s an art form – you have an aspiration about what it is that you want to achieve but there’s still that area where you need to wait and see what happens.” We, among others, look forward to finding out. The distillery kindly sent us a bottle of its “mountain fresh dry gin” to try and we can report that it’s a lovely, simple, summery gin in the London Dry style. There’s good flavour from the juniper and quite a prominent citrus character while deeper fresh spicy notes linger in the background. One to drink with minimal tonic and a good handful of ice. The post Aber Falls distillery: the spirit of North Wales appeared first on Two Thirsty Gardeners. Like much of the world, Spain is going through a beer revolution with hundreds of new breweries springing up all over the country. Until recently it was hard to find any of these new boozes in the UK, with the choice of Spanish beers being largely restricted to mega-brand lagers Estrella and San Miguel. But, at last, a steady trickle of more interesting brews is finding its way to these shores as we discovered when researching a piece on beers to represent every football world cup nation for the Independent. La Pirata (translation ‘the pirate’) brew a good range of modern beer styles including this full flavoured IPA. There’s plenty of hoppy citrus flavoured hops to enjoy and a decent level of bitterness, but you’ll also find it’s rammed with malty goodness, giving it an added richness and depth. Nick tasted this fruity treat at this year’s Craft Beer Rising in London and declared it one of his favourites. It’s a collaboration between San Sebastian’s Mala Gissona and Ilkley Brewery from the UK. As you can guess from the name the fruit addition is pineapple, with just enough to cut through the pale malt base and give the beer a bit of a sweet zing and fruity tang. This beer from the La Rioja region of Spain is more like the familiar continental lagers but with an extra touch of class. It’s bottle conditioned, has a slightly hazy appearance with a short frothy white head and tastes un poco sweet and un poco dry with some doughy grains, citrussy freshness and a moderate herby and spicy bitter finish. We’ve had quite a few beers from Barcelona’s Beer Cat with this peach infused number being the most memorable. It’s a pale ale brewed with peaches that has been barrel aged, so has a woody matureness and some lovely ripe peach flavours. There’s some hop bitterness and it also has a slight sourness, but despite the rich complexities it’s also a remarkably easy drinking, refreshing ale. The post Five of the best Spanish beers (over here) appeared first on Two Thirsty Gardeners. 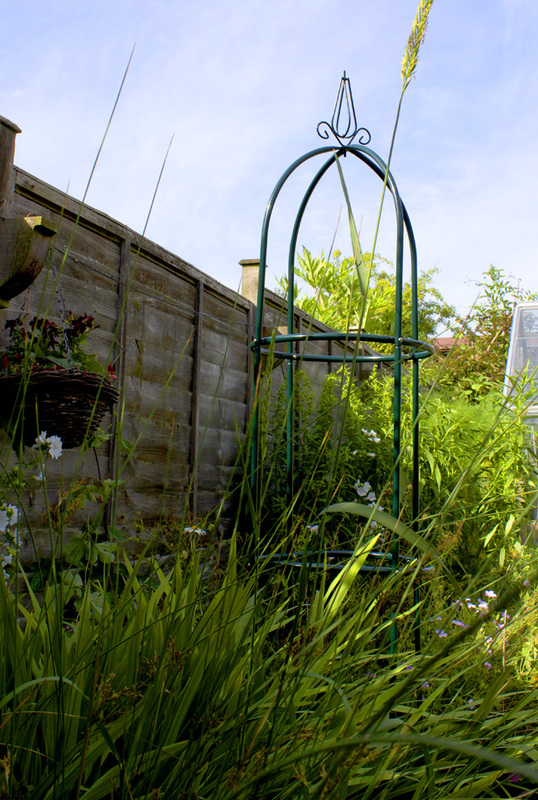 Last weekend I was sent a round metal trellis to review from garden accessories retailer T J Hughes. It’s the kind of product that makes a scruffy garden (like mine) look a bit posher for a minimal outlay (£7.49 at the time of writing), particularly with a climbing plant gripping onto its dark green poles displaying lush green foliage and attractive masses of flowers. Like a rose or a clematis perhaps. But I’ve got another use for this trellis: runner beans. This year, my veg plot filled before I got round to planting the rambling legume that is one of my favourite veg. So I cast my eyes to the flower border and a geranium that has got out of control, suffocating all other plants that lie in its path (apart from the bindweed). Its vast size, and lack of watering, meant it had collapsed in the middle, leaving an unsightly mess in the border. So it has been mostly ripped up, leaving a space to be filled with my own compost, a handful of alpaca poo, a few runner bean plants and the trellis. It’s too early for any climbing action but even in its naked form the trellis looks splendid, and that’s despite the slightly lopsided effect caused by a sloping garden and rickety fence that provides the backdrop. And the mess left behind by my clumsy geranium uprooting. The trellis requires self assembly, although this is so easy that anyone who has ever put up a tent would be able to achieve the job in a flash. Tubular metal poles slot into each other and are secured by simple nuts and bolts (provided). It’s all a bit wobbly a first, but a tightening of the nuts (for which you’ll need a small Phillips screwdriver and a spanner or pliers) soon gives it sufficient rigidity. The poles are hollow and fairly thin, so it doesn’t offer the solid feel of a wrought iron equivalent (over-enthusiastic assembly could lead to a bit of pole bending – one of my rings has a slight kink from needlessly forceful nut tightening) but you wouldn’t get a sturdier alternative at anything like this price. When fully constructed the trellis needs to be sunk into the soil until it feels secure before the plants are dug in around the base. If they survive predatory attacks they’ll be able to shimmy up the four poles and spread around the three rings that lie beneath an ornate, pointy summit. I won’t get a vast harvest from my beans this year (compared to the much larger wigwam construction I usually build) but the white flowers* of my chosen variety should allow them to feel right at home among the other blooms in the border. The post Gardening review! Round metal trellis appeared first on Two Thirsty Gardeners. We’re getting more than a little excited about attending Bristol Craft Beer Festival this year. Despite being a short train ride away for Rich (and only an hour for Nick) we’ve not managed to make it before. But this time round we’ve blocked out the diary (September 14 to 16) and and are already polishing our drinking boots in eager anticipation. Bristol is often described as Britain’s best beer city, with a remarkably high concentration of breweries in and around the center producing consistently excellent beers, and the festival will showcase both local breweries along with some stars from further afield, including Wylam, Mikkeller, Dugges and Stone. 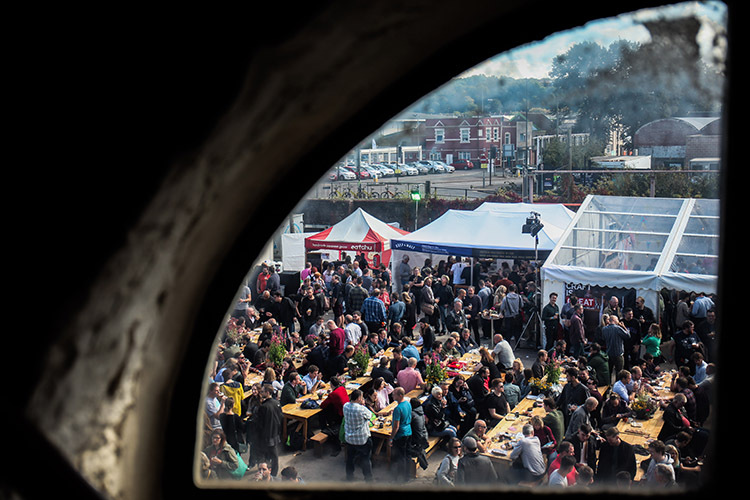 Being our closest Big City we’re regularly guzzling the Bristol’s beery output from our local bars and shops and, in advance of the festivities, here are five of the best we’ve recently enjoyed. There’s a huge buzz about Left Handed Giant right now and this beer, produced in collaboration with Dutch outfit Het Uiltje, is one of the finest brews we’ve had all year. It’s a milk stout (Bristol, for some unknown reason, does love a Milk Stout) made with honeycomb and pistachio and the combination of both, with the roasted malt aromas, make it one of the greatest things you could ever wish to smell. And the sensual qualities don’t rest at the nose: it’s thick and creamy, has a natural sweetness that picks out those sugary additions which, in turn, accentuates the richness of the roasted, chocolatey malt. Excellent stuff. As age catches up with us, so our drinking prowess diminishes. Which is why we’re increasingly ordering lower strength beers when we get the rounds in. Of that category we’ve probably had more of this beer than any other. It fully earns the low strength cliché ‘lots of flavour despite the lack of alcohol’ and tastes every bit like on of Wiper and True’s excellent fresh, citrussy, bitter pine pale ales but with the strength turned down. Last year we put together a list of ten great Bristol beers for the Independent and, having been forced to award a ‘best buy’ gong, decided this would be a worthy recipient. Arbor have been brewing for over ten years and we figured this citra led, sessionable IPA would have a broad appeal: it’s an easy drinking, full-flavoured beer with good tropical hop flavours and a lingering grassy bitterness. Lost & Grounded’s lagers are a common sight around these parts, but you have to go to more specialist bars to get your hands on this saison (we found ours at Bristol’s Small Bar). It’s quite a boozy brew and contains a medley of flavours from the hops, yeasts and grain which include floral flourishes, lemony brightness, spicy freshness, fruity ripeness and even a touch of barnyard wildness. Moor Brewery runs our favourite Bristol tap room, just a short stroll from Temple Meads station, so we’ve been aware of the brewery’s rise to fame – it has recently been showered with top awards including the prestigious Beer Writers Guild Brewery of the Year accolade. We keep changing our mind as to what our favourite of their beers is, so we’ll point you towards one of their classics, Nor’Hop – a pithy citrus pale ale with sticky lemon freshness and a long lasting bitterness that we covered in more depth on this website two years ago. Bristol Craft Beer festival. See you there. The post Five of our favourite Bristol beers appeared first on Two Thirsty Gardeners. The post Bottles for goalposts – How to watch the World Cup appeared first on Two Thirsty Gardeners. I’ve never grown grafted vegetables before so was keen to see how they would turn out before writing about them and have been so impressed with their initial performance that I’ve decided to spread the word on this website as well. The plants have been labelled the Tomato Grafted Tutti Frutti collection and contain three varieties – two red cherry types (F1 Red Berry and F1 Cherry) and a cocktail type called F1 Mandarin, which is said to have ‘hints of mandarin’ in the flavour. They arrived over month ago in good condition, tucked into a plastic growing tray, and were immediately potted up before being planted out in the greenhouse a few weeks later. A grafted tomato is essentially two varieties of plants that have been joined together: the top part is selected for the quality of the fruit, and the bottom part for its resistance to infection and ability to absorb nutrients. In theory, the plants should grow much healthier and bear the kind of tasty fruits you might not get so reliably otherwise. As a newcomer to grafted tomato growing I’ve been googling a bit more information about the techniques involved but some of the science stuff started to make my brain hurt a bit, so I’ve just extracted this information from Wikipedia instead: “The cultivation of grafted vegetable plants began in Korea and Japan at the end of the 1920s when watermelon plants were grafted onto squash rootstock.” It’s now big business with, according to Wikipedia, an estimated 750 million grafts in Japan in 1998 and, more recently, the Europeans have cottoned on, with over 45 million grafts in Spain in 2003-04. So why has it taken me so long to get round to trying them for myself? Back to my own tomato trio and the early results are quite astonishing. They’re growing like tomato Olympians: faster, higher and stronger than anything else in the greenhouse. They went in a few weeks after my much bigger seed sown tomatoes (the variety Black Russians) in the same conditions – directly planted into the ground, under glass, with a mix of farmhouse manure and some water retention granules I found at the back of the shed. The grafters didn’t take long to catch up to the size of the Russians and now stand at almost twice the height, with good thick stems, healthy leaves and a few sets of flowers already awaiting the attention of pollinating bugs. Time will tell whether they continue at this impressive pace, and how the resulting tomatoes will taste, but if they continue in the way they’ve started I’ll be back for more grafted vegetables next year. 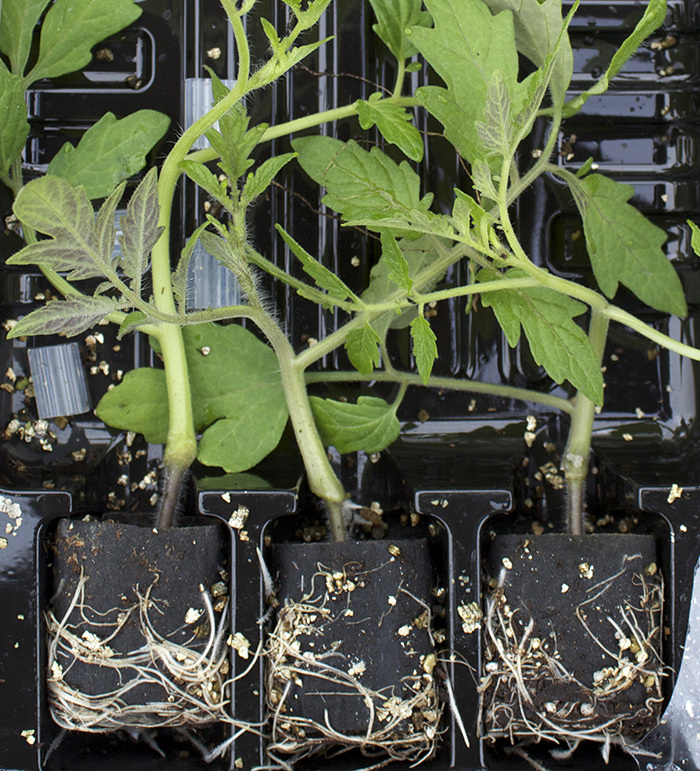 The post Growing grafted tomatoes: faster, higher, stronger appeared first on Two Thirsty Gardeners. 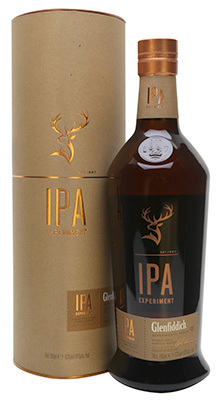 In a recent press release promoting Fathers Day gift suggestions* we spotted a whisky that has been matured in IPA casks. We’ve had beer that has been aged in whisky barrels but didn’t know it was a thing to do it the other way round. Intrigued, we asked the PR lady for a sample and she duly obliged, sending a small bottle our way in an instant. The whisky distiller is Glenfiddich, one of the most popular single malt producers on the market, and the batch is part of an experimental series that also includes a whisky aged in a Canadian Ice Wine cask. For the IPA Cask edition, Glendfiddich’s Malt Master, Brian Kinsman, teamed up with Seb Jones of Speyside brewery to make a special IPA that would leave its citrussy hop imprint on the beer barrels that would then be used to finish a new Glenfiddich malt. Most beers that have been aged in whisky casks have a very obvious change of character, picking up oaky flavours and a hit of whisky. Being aged in this way also changes the characteristics of the beer, regardless of the additional flavours it attracts. But I found it hard to believe that a whisky would pick up much additional flavour from a beer cask, and am not sure I would want much beeriness spoiling a perfectly good whisky. Giving it a sniff there were no obvious hoppy affects at play – just the enticingly fresh aroma of a good whisky. The taste reveals that this isn’t a new beer and whisky hybrid. It’s not even a whisky flavoured with beer. Instead, it’s an excellent whisky with a flavour that has been subtly influenced by the IPA without the method being obvious through taste alone. It’s a fresh tasting whisky with a slightly thick, oily texture and some unobtrusive peppery oak to give it some depth of character. And there are definitely some citrussy notes, catching the toffee sweetness before the spices kick in along with some lingering grain flavours. I thoroughly enjoyed my sample, preferring it neat (it’s 43%) rather than with water or ice, and reckon it would appeal to both the whisky novice and the more committed whisky drinker in search of something different. I’ve got a decent measure left in my bottle which I’m going to save as a chaser the next time I have a couple of IPAs. I think it will work. Brian and Seb trialled three specially produced IPAs for this experiment: the first using Centennial hops; the second with British Challenger hops; and the third featuring Cluster hops. It was the Challengers that triumphed. *Other Father’s Day gift suggestions we’ve received in press releases include a bag of charcoal, a bottle of Jeyes fluid, and some stuff to clean black spots off patios. This is all true. The post Glenfiddich IPA Cask. A hoppy experiment appeared first on Two Thirsty Gardeners.